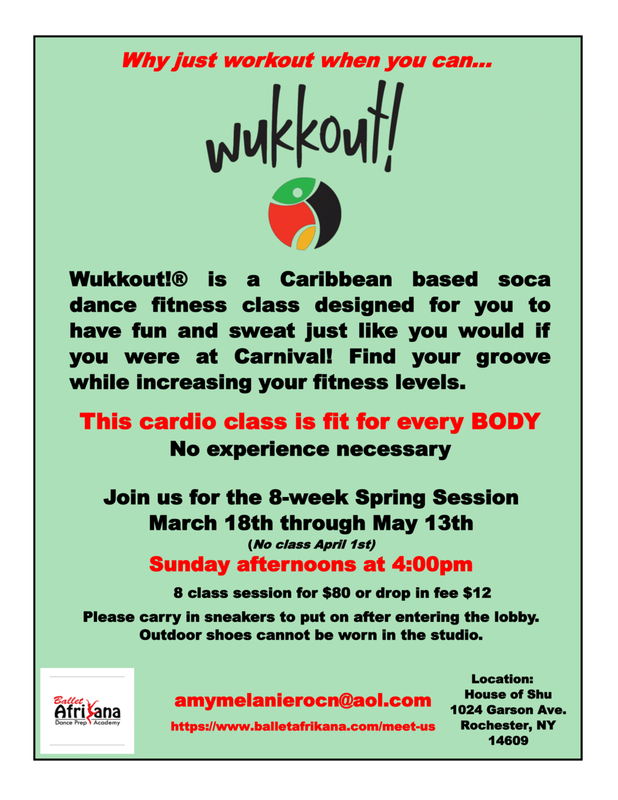 Growing up in Brooklyn, NY and having a heritage including various Caribbean nationalities, the idea of a soca based workout seemed like an awesome way to bring more people and motivate others towards fitness. In an urban multi-ethnic environment, I gained appreciation for different dance/music styles and a passion for teaching the historical connections behind them. Seeing history and the African diaspora unfold through dance in a myriad of ways is humbling. Moving to Rochester, I am pleased to continue supporting diversity by building community. As a native to Rochester, NY, my day-job involves working for a major local corporation. In my free time, my interest in music, fitness and the arts has led me to explore various cultures and increase my enthusiasm for learning and motivating others to do the same. However, Caribana in nearby Toronto and the Labor Day in Brooklyn, NY were my first real visceral connections to soca. The energy of the music and the movements captivated me. Seeing everyone move together in celebration of their heritages and at the same time appreciating the diversity of all in attendance was a joyful experience. I have 20+ years of experience teaching group exercise classes including various cardio-dance formats and strength/functional fitness formats. 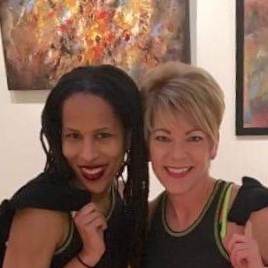 Having fallen in love with soca, I am enthusiastic about Wukkout!® My openness to continually learn and grow from my class participants will enrich my life and further my connection to the community in which I live. Amy and Melanie refer to themselves as “sisters from different parents” and are well known in the local dance fitness community for creating a fun and welcoming environment for all body types, all ages, and all levels of fitness in their classes. In addition to teaching classes together, they share several interests and affiliations involving community development, raising appreciation and recognition for the true history while living out the core ideals of our society. They wish to be known for their encouraging and supportive atmosphere, passion for building community across demographics through shared experiences and the humor that they bring to their classes. Amy and Melanie are both AFAA Group Exercise Instructors and YMCA certified fitness professionals.